In places like Houston, where the heat is tangible in the air, it is important to have ways to keep cool–especially during the summer months. What better place to cool down and relax than in a blue and glimmering pool? A pool is almost an essential to beat the heat this summer. But old pools can be an eyesore. 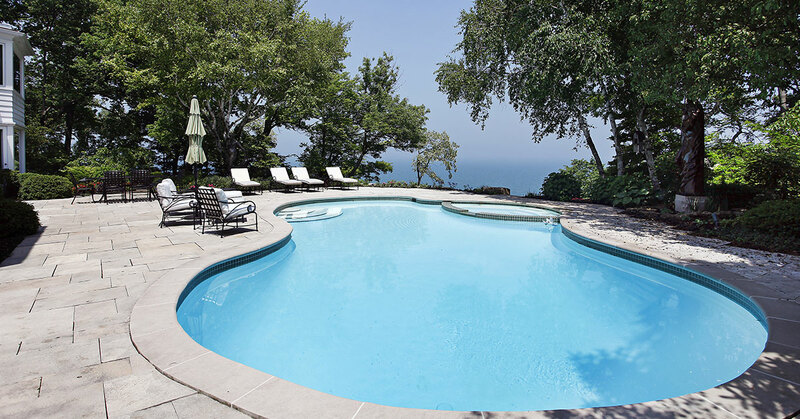 What’s more, old pools can also be taxing upon the environment in ways that can be avoided. JRP Services can help. We can demolish old pools to make way for new, more aesthetically pleasing and eco-friendly options. What Does an Eco-Friendly Pool Look Like? Whether you decide to renovate your current pool or to make way for a new one, there are a few ways to help protect the environment when you do so. With a programmable, variable-speed pump you can save both energy and money. They are far more efficient than regular pumps because they only use the energy that it needs to perform a specific task. Even a small leak in your pool can lead to thousands of gallons of wasted water, not to mention hundreds of wasted dollars. If that isn’t enough to convince you, then we should also tell you that cracks in your pool can undermine its structure and lead to costly repairs in the future. Chlorine can be a nasty chemical. It has known harmful effects on humans, animals, and the environment. Why would you continue to use something you know is harmful to you and your family when there are safe alternatives? A few of these alternatives include options like salt-water pools that use electrolysis to eliminate bacteria and algae. There are also ozone sterilization systems, natural swimming pools, and pools that use moss to keep the water clean. No matter which option you choose, JRP Services has the knowledge and the equipment to remove your old pool or break new ground to make way for your new eco-friendly oasis. Call us today to learn more about our demolition and excavation services in the Houston area.